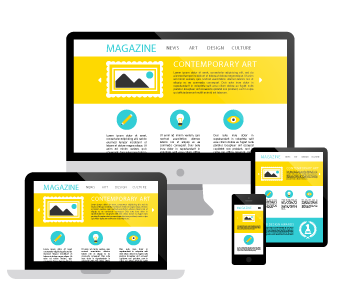 A responsive website is an advanced technology in which the website can fit any size of a screen. It gives permission to visitors to freely access your website from android mobiles, iPhones, tablets, almost every device. It helps to saves time as well as money. We have an expert who fully understands the market demand, client’s need and what exactly he wants, and our team helps you take your online business to the next advanced level. We provide a best high-quality responsive website, which looks impressive and user-friendly with an interactive interface, to attract more customers.